Workplace violence is an epidemic that shows no signs of slowing down any time soon. Many people are anxious to go to work because they are scared that they will become victimized. There are many different things employers and employees alike can do to be prepared for workplace violence. 1. Violence committed by individuals who have no connection to the workplace where the crime was committed who enter with the express purpose of committing a crime. 2. Violence that is committed toward employees or others that provide services in a workplace by someone who is a recipient of the services. For example, an inmate, healthcare worker, patient, etc. 3. Violence that is committed by an employee, past or present, that targets the workplace or someone who works there. 4. Violence that is committed by someone who doesn’t work in the particular workplace, but has a relationship, past or present, with someone who works there. Domestic violence, in other words. Everyone – including employers themselves – should be involved in the preparation and prevention of workplace violence. This should span every level of your company, from upper-level managers to those who directly interact with the public. Everyone should know and understand the policy. Every new hire should be trained in the procedure. Knowing what constitutes harassment and how to report it keeps everyone one step ahead of workplace violence. Everyone in your company should know and be comfortable in reporting harassment and other suspicious activities. Let everyone know which channels they need to go through to report such events. Regular team meetings also show that the lines are open for reporting. Everyone in the facility should be trained in how to handle different types of emergencies. Should everyone shelter in place? Should everyone evacuate at the first sign of trouble? Everyone needs to be aware of all the exits as well. Training employees and knowing what to do during a crisis can help in the long run. There should be a zero-tolerance policy when it comes to harassment. 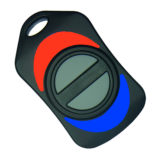 This will show the employees that you are committed to a safe workplace. Everyone should understand that individual differences are what makes the team great. Team building activities will help accentuate the fact that everyone’s differences are also a strength. Everyone’s interactions should be monitored, especially during times of conflict. Conflicts should be worked out as soon as they start. Many instances of workplace violence started out as work conflicts that simply got out of hand. Be open-minded and encourage your employees. Get to know them and show them that they are valuable to the company. Sometimes seemingly small gestures can go a long way when preventing workplace violence. Clearly define what unacceptable behavior is. Give examples. Tell your company what the consequences are for unacceptable behavior. There should be no question. Tell your employees that they can report violence in confidence. There should be no fear of retaliation if a report is made. Robberies are a big fear these days. One way to help allay this is to bring cash handling to a minimum. Whenever possible, encourage customers to use a credit card. If cash must be used, a cashier’s drawer should be emptied into a locked safe at certain intervals. Unfortunately, there is no foolproof way to stop workplace violence in its tracks. There are certain signs to look out for within the workplace. 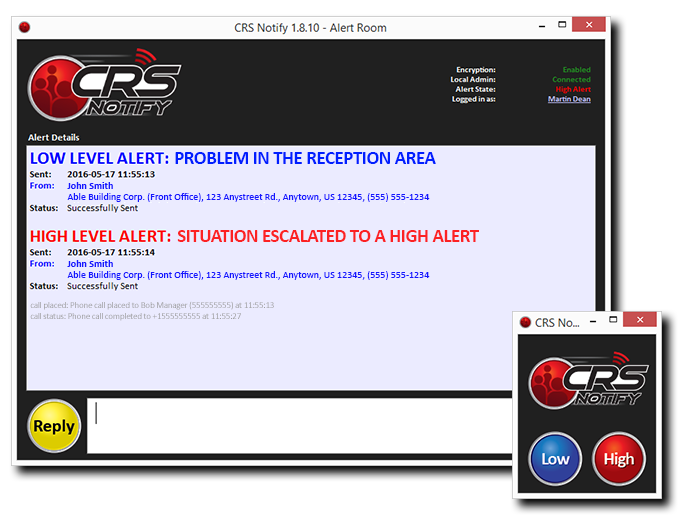 If the worst should happen, a panic button from CRS Notify would be a great addition to your incident response plan. Authorities would be notified moments after a high alert is raised. In any case, everyone should be on the lookout for suspicious activity. Proactivity is key! Still Unsure About Workplace Violence Tips?